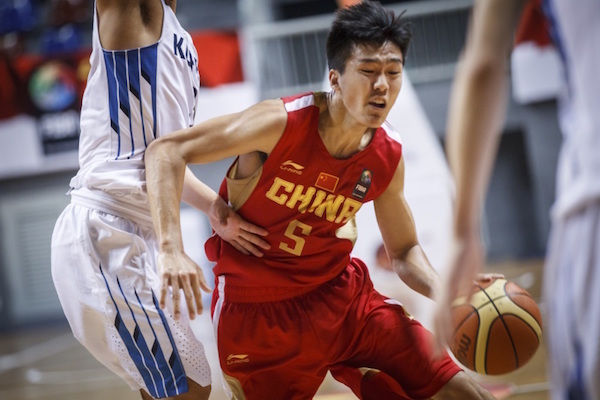 The third day of the 2015 FIBA Asia U16 Championship saw a titanic tussle between China and Korea turn into a rout as the Chinese just imposed their will. Japan and Taiwan also advanced to the next round unscathed, while Malaysia, Kuwait, Lebanon, and Indonesia join them in Group E. China and Korea lead Group F, which also has Iraq, the Philippines, Thailand, and Bahrain. Here are the complete results from the third day of competition! Hong Kong stuck with Japan for one whole half before coach Torsten Loibl’s wards opened things up in the second half. Japan waxed hot from long range again, hitting 44% of their threes. 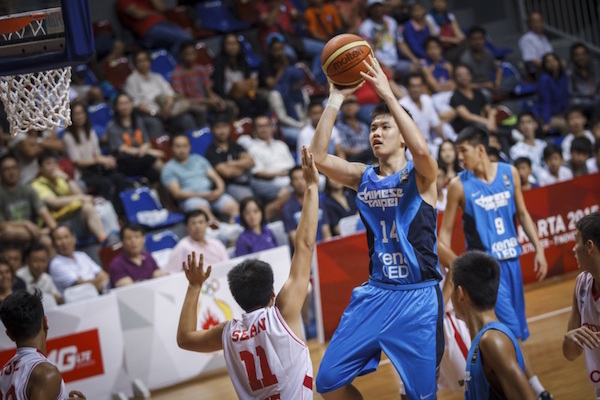 Not surprisingly, Yudai Nishida led the charge for the winners with 23 points, 9 rebounds, and 4 triples. 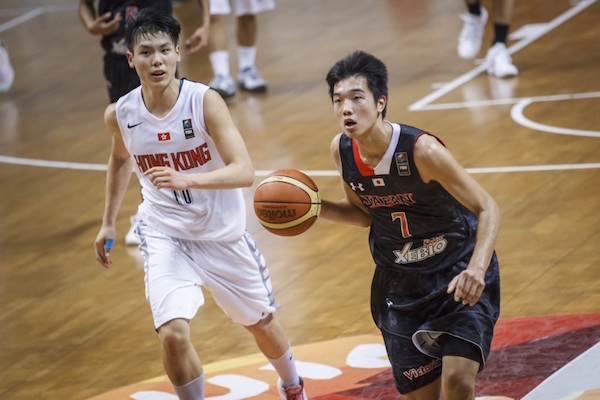 Seiya Takahara was the only other Nippon player in double-figures with 15 points on 5/9 FG shooting. 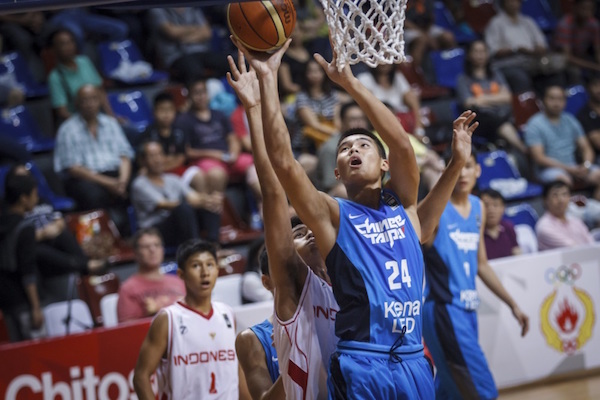 On the other end, Man Ching Lin and Yiu Pong Yip each tallied 14 points for Hong Kong, which was relegated to the 13th-15th classification round. Keisuke Mimori is fouled as he goes up for the shot. 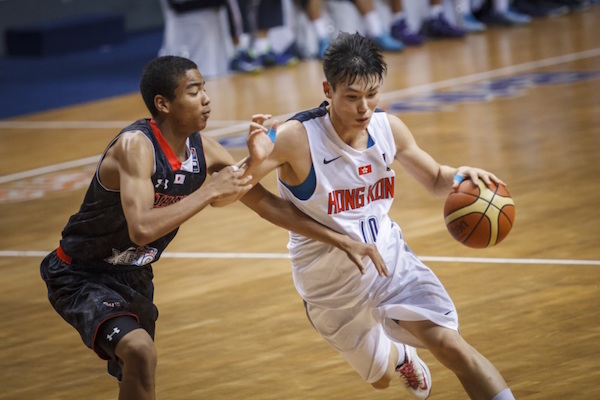 Yu Fung Li tries to go around Aren Hachimura's defense. Yudai Nishida has been Japan's main man in this tourney. The Kuwaitis established a double-digit lead after the first quarter, and they were able to successfully nurse it till the end. 6’2 forward Yousef Husain paced the victors with 26 points, 14 rebounds, and 3 steals, while compatriot Mohammad Hasan added 18 points and 8 boards. Ken Yen Low led Malaysia, which advances to the next round with a 1-2 record, with 20 points, while Joon Kang Lim and Lewis Inpik paired up to drop 28 markers for the losing side. Ali Sebzali tries to kick the pass out after encountering stingy defense. Kalven Lim pulls up for the open jumper. 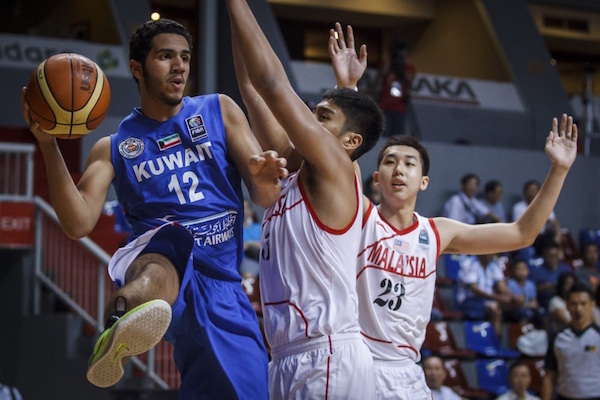 Yousef Husain was brilliant in Kuwait's win over Malaysia. Lebanon won this game by default. Rumor has it that Bangladesh wasn’t allowed to play because of some arrears to FIBA. The home team played tough in the first half, trailing by just 4 points, 35-31, but the Taiwanese turned up the jets in the second half to open things up. 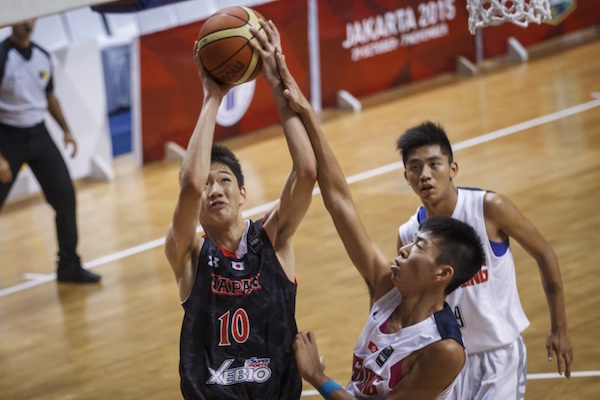 A 23-11 fourth quarter put the outcome beyond doubt for the East Asian side. 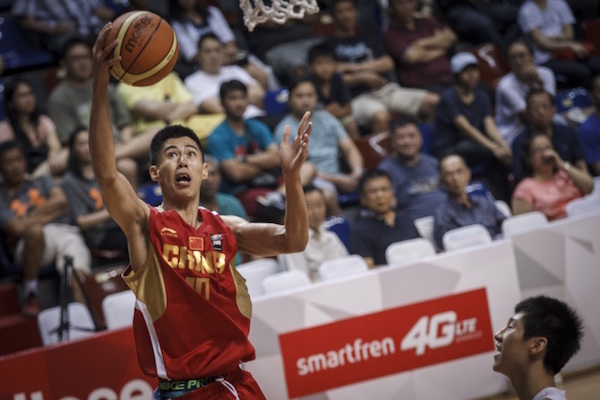 6’3 shooting guard Lin Ting-Chien led the way for Taiwan with a monster output of 33 points, 12 rebounds, 5 steals, and 4 assists. He was ably supported by Tang Wei-Chieh, who had 11 points, 9 boards, and 2 blocks, and 6’5 Han Chieh-Yu, who tallied 10 points and 9 caroms. 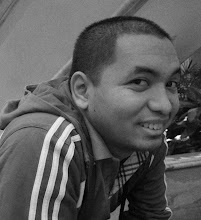 6’3 center Aldy Rachman was the brightest spot for the Indons with 12 points on 6/7 FG shooting and 5 rebounds. Indonesia's Arsyadani Firdaus goes into heavy traffic against Taiwan. Chen Fan Po-Yen rises for the inside score. Lin Ting-Chien unloads a runner against Indonesia. 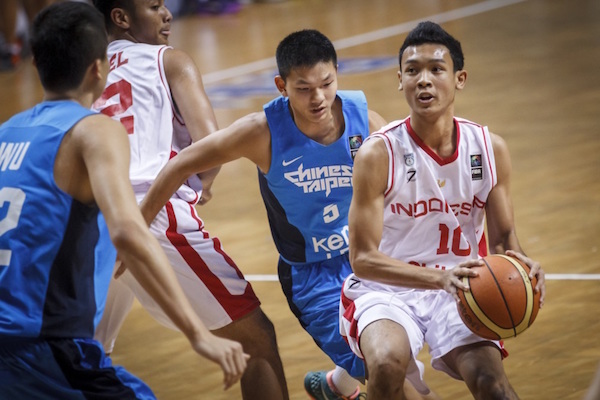 Thailand secured a 1-1 record heading into round two after keeping Bahrain at bay on day three. Natthaworn Banchathon led the Thais with 28 points on 6/13 3pt shooting, while Jdar Sonsem had 12 points and 7 rebounds and Pongsakorn Jaimsawad recorded 6 points, 3 steals, and 11 assists. 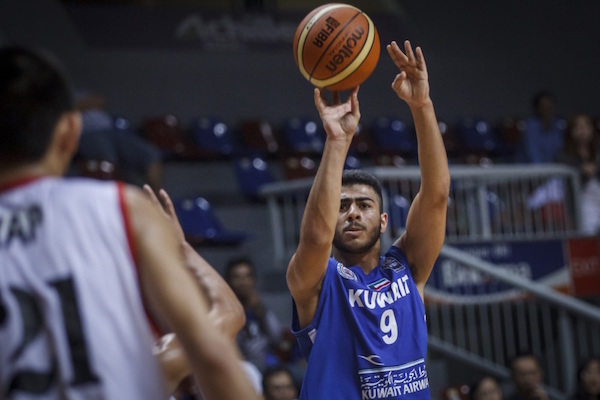 6’3 forward Mohamed Al-Majed paced Bahrain with 13 points, 11 rebounds, and 6 steals. Both teams will be part of Group F in the second round. 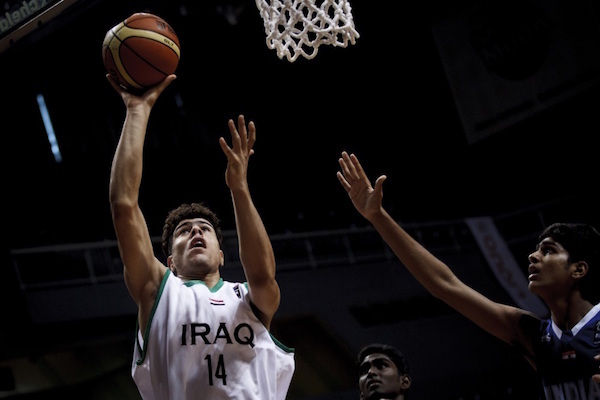 Iraq stamped its class on their hapless South Asian foes right from the get-go. The West Asians were dominant in rebounding, 59-44, and points in the paint, 60-36, building a lead that ballooned to as big as 33 points. It didn’t come as a shock that Abdullah Abdullah led the way with 39 points, while big man Ahmed Jasim notched a beastly 12 points, 16 rebounds, 5 steals, and 5 blocks in support. On the other end, Ankit Joshi Baladhaneshwar Poiyamozhi scored 24 and 26 points respectively to pace the Indians, who join Hong Kong and Bangladesh in the 13th-15th classification round. 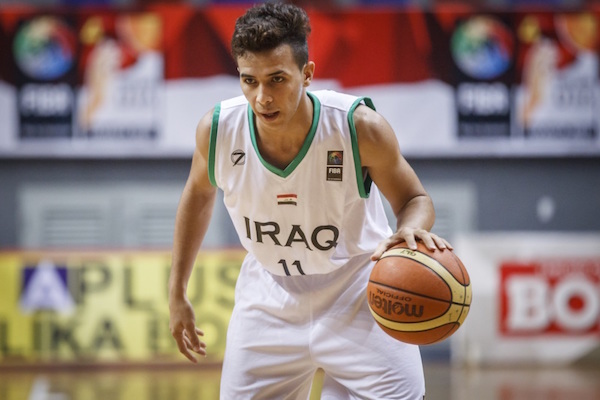 Ahmed Jasim dominated inside for Iraq. Hasan Al-Fahad reads the defense. India failed to advance to the second round. Korea was in control early on, but he Chinese flipped a switch and dominated the middle two periods, 53-24, to break the game wide open. 6’8 Li Xiangbo was China’s spearhead here with 18 points and 8 rebounds, while 6’7 Wu Yujia and 6’11 Zhu Rongzhen scored 17 points each. 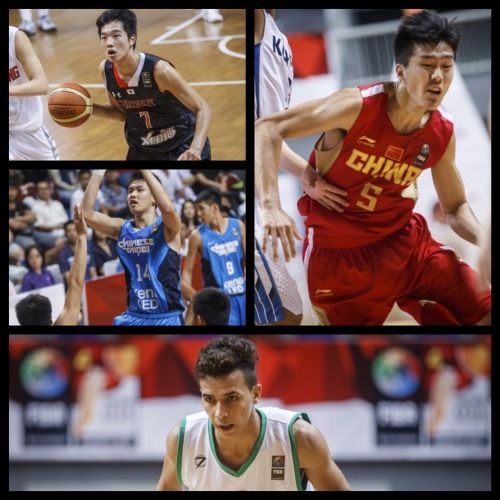 Not surprisingly, the taller Chinese dominated the battle of the boards, 60-27, which compensated for their 21 turnovers. Korean star Yang Jae-Min was held to only 7 points on 3/11 FG shooting here, while Seo Myeong-Jin and Shin Min-Suk scored 13 and 12 markers respectively for the losing side. 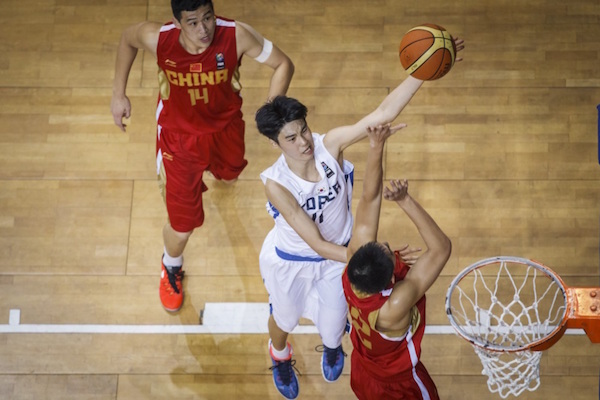 Huang Rongqi aggressively attacks the Korean defense. Shin Min-Suk challenges the trees of China. Wu Yujia goes up strong for a lay-up.